Leak detection and diagnosis can often be difficult to locate and repair. Healthy Homes Inspections CFL, LLC, has been inspecting, diagnosing, and overseeing roof and stucco repairs and leak-related building repairs for more than 15 years. Most roof and stucco wall leaks can be identified typically by making a visual inspection, but when the source of the leak is not visible, utilizing the newest imaging and moisture detection technology can help us find your roof and stucco wall leaks. For larger buildings with flat and low-sloped roofs more advanced technologies can be utilized such as a Troxler Nuclear Gauge Scan. The Nuclear scan uses a nuclear gauge to detect hydrogen ions trapped within the roof system. The readings are displayed by the gauge by measuring the quantity of hydrogen ions present within a specific area beneath the gauge. Since hydrogen ions are present in water, these readings can be related to moisture content. The readings are used to create a map of the wet areas depicting the location and outline of suspected wet areas and showing where the highest levels of moisture are concentrated. Whereas infrared and nuclear scans locate wet insulation, Electronic Field Vector Mapping (EFVM) function is to locate the point where moisture enters the roof assembly. These types of inspections are used for large flat and low-sloped roofs. 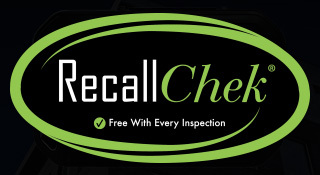 Healthy Home Inspections CFL, LLC, inspectors are trained and qualified professionals that perform these tests, interpret, and prepare the results to provide valuable information and to create a plan that maximizes an owner’s roofing investment. Healthy Home Inspections CFL, LLC, can help you save big money on roof repairs, replacements, and maintenance. Utilizing Infrared testing, and electrical capacitance methods can help find small problems before they become bigger and costlier. Our Tramex Moisture Dec Scanner ll used in conjunction with infrared thermography are diagnostic tools not created equally. 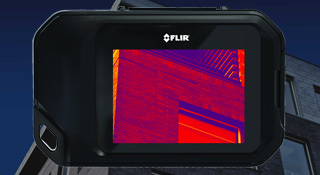 Although infrared cameras are important and most commonly used tools, imaging detects variations in temperature and can only be used at sundown or night to capture moisture trapped in a roofing system. By using in tandem, the Tramex Moisture Dec ll Scanner we can detect moisture up to several inches through the roof membrane directly and accurately. Healthy Home Inspections CFL, LLC provides exterior stucco inspections, moisture testing and leak detection for several types of homes and buildings clad with Hard-Coat stucco, EIFS (Exterior Insulation Finish Systems), Concrete Stone Veneer, Manufactured Stone Veneer, DEFS (Direct-Applied Exterior Finish System) and other types of exterior cladding systems. Knowing where to look and what to look for is crucial when identifying the source of leaks and moisture content in the underlying substrate. We provide a detailed inspection report, including digital photos, infrared thermography, moisture mapping and repairs, replacement, and maintenance. A visual examination of the exterior stucco cladding system and interior if necessary. Providing proper identification of the type of cladding installed in a home or building is critical to the inspection and evaluation of the exterior wall cladding. 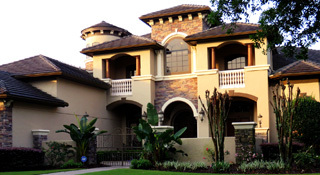 Misidentifying the stucco systems can result in unnecessary and costly repairs. We also report on the condition of sealants, roof flashing, windows/doors, chimney, attachment of deck-to-building, parapet walls, utility penetrations and any penetrations in the wall assembly, and exterior plus much more. 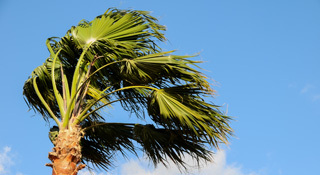 Moisture Testing can include non-destructive testing as well as invasive testing. Healthy Homes Inspections CFL, LLC uses a Tramex Wet Wall Scanner around windows/doors, exterior and interior wall assemblies, flashings at roof/wall connection, decorative trim, deck/wall connections, exterior cladding penetrations and many other applications.